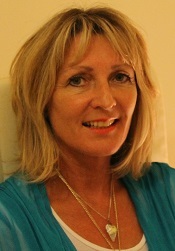 With over 30 years of nursing experience Louise has also studied a range of disciplines enabling her to consolidate her holistic approach to treating her clients specialising in teaching Angelic Reiki, Metatron Colour Healing & EFT also offering one to one sessions for variety of other therapies including Super Connect. Personal development and teaching are areas that particularly appeal to Louise, as it enables her to share her knowledge and experiences with others in a way that is both inspirational and informative. Louise provides training courses and regularly runs a variety of energy medicine workshops including Pendulum Dowsing, Angel Healing, EFT and Ascension and is constantly updating her knowledge and skills.